Once your order for a gift voucher has been received and processed, you will be emailed a voucher containing a one-time discount code. Enter this into the 'Discount Coupon Code' box in the Shopping Cart, and the amount of the gift voucher will be deducted from your cart. There is no refund for partially used discount codes. 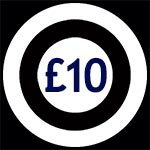 Receive a one-time use £10 discount code that can be applied to any order at progrock.co.uk (excludes shipping). 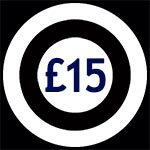 Receive a one-time use £15 discount code that can be applied to any order at progrock.co.uk (excludes shipping). Receive a one-time use £20 discount code that can be applied to any order at progrock.co.uk (excludes shipping). Receive a one-time use £25 discount code that can be applied to any order at progrock.co.uk (excludes shipping). Receive a one-time use £30 discount code that can be applied to any order at progrock.co.uk (excludes shipping). Receive a one-time use £35 discount code that can be applied to any order at progrock.co.uk (excludes shipping). Receive a one-time use £40 discount code that can be applied to any order at progrock.co.uk (excludes shipping). Receive a one-time use £45 discount code that can be applied to any order at progrock.co.uk (excludes shipping). Receive a one-time use £50 discount code that can be applied to any order at progrock.co.uk (excludes shipping). Receive a one-time use £75 discount code that can be applied to any order at progrock.co.uk (excludes shipping).